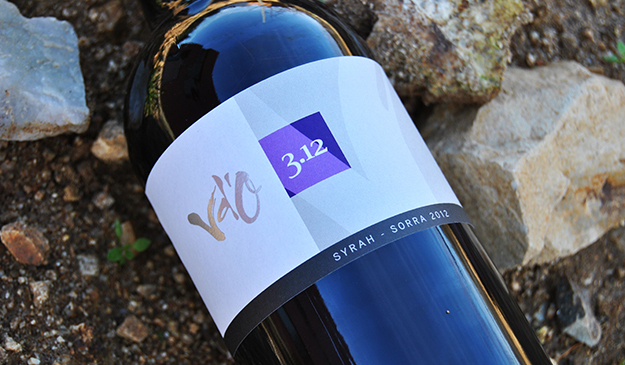 Wine made from the best Syrah grapes selected from the rocky area of the vineyard surrounding the winery. Hand picking harvest in plastic crates of 10 Kg, carrying out a first sorting in the vineyard and a second one berry by berry in the cellar. Cold soak (4ºC) and alcholic fermentation controlled temperature over 26-28ºC. We combine the processing techniques punching down (pigeage) and pump over to extract the great personality of their grapes. Long maceration and pressing at very low pressure. Aged for 16 months in French oak barrels, stirring the lees (bâtonnage) and malolactic fermentation in them that will qualify harmonically its aromatic expression. Aromatic complexity of licorice, violets, cocoa, balsamic, spices and black fruit, all enveloped by soft smoky notes from the ageing process and also from the fire of 22nd July 2012. On the palate concentration of the aromas, elegance, silky and unctuous tannins, with a great acidity that gives freshness and long finish.